0% APR for 12 months on purchases and balance transfers. Cash Advance Fee and Balance Transfer Fee is Good. We are against foreign transaction fees, however 1% rate is good enough.. It can be an option for you if you are looking for a credit card with 0% APR for 12 months and low fees. APR (balance transfer and purchases) can be high if your creditworthiness is not good enough. Minimum APR for purchases and balance transfers is at fair rate. 1% cashback rate is not good. Not very good if you are looking for a cash back card. 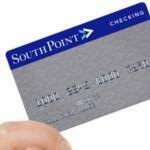 SouthPoint Bank Cash Rewards Platinum Card is a cashback card with 1% rate for your purchases. If you would like to check rewards version of this card, you can see our SouthPoint Bank Rewards Platinum Card review in Credit Cards Center. The card is low fees for Balance Transfers, Cash advances and Foreign Transactions. However cash back rate is low and it is below average. There is 0% APR for first 12 months on purchases and Balance Transfer APR. Cash Advance APR is high while there is very limited cash back rates, we believe it should be at lower rates. 14.99% – 24.99% %1 Cash Back None 1% $38 $5 or 3% 23.99% – 26.99% $5 or 3% 0% APR for first 12 months. 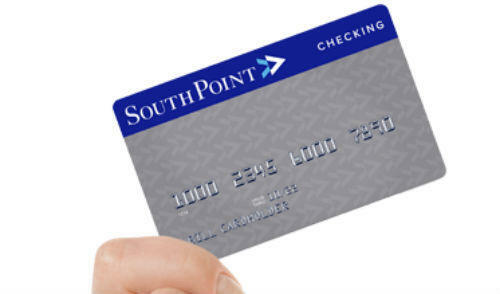 You can read some users reviews of SouthPoint Bank Cash Rewards Platinum Card below.